Barbara Barry designs a collection of beautiful, exquisitely simple tables that bring a modern point of view to a lobby, lounge or the executive suite. 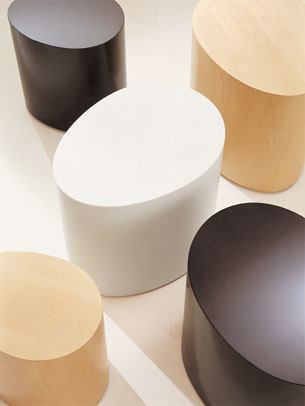 Based on quiet organic forms, these tables are a discreet complement to contemporary sofas and chairs, perfect as a side table, occasional table or the oval egg table series an informal conference table. $1,720 Manufacturer: HBF Lead Time: 6	- 8	weeks Size: OH 18.75" OW 17.25" OD 12.75"